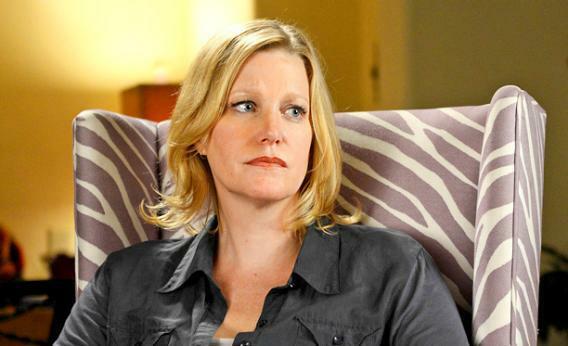 Skyler on Breaking Bad final episodes: Skyler White is the show’s best character. On AMC’s Breaking Bad, Skyler White (Anna Gunn) plays many roles: the wife of Walt, the show’s meth-cooking, empire-seeking chemist; the barrier protecting her children from said chemist; the on-screen anchor for our (hopefully strong) sense of morality, which can seem to drift from us as we identify with her husband’s malignant ambitions. Breaking Bad is filled with despicable characters. Emily Nussbaum observed in The New Yorker last summer that “Gilligan has made several clever gambits to keep the show watchable, including swivelling background characters into the spotlight, where they can absorb the sympathy we once extended to Walt.” Skyler, who at the show’s beginning exuded a pedantic conception of right and wrong, stepped easily into that spotlight because of her own willingness to break—or maybe just bend—bad. Many point to Skyler’s affair with Ted Beneke or her decision to launder Walt’s money as her fall from the moral high ground. But we first see her stumble at the end of Season 1, when she and Walt attend a school meeting about the missing chemistry equipment. Under cover of the table, Walt begins to slide his hand up her leg, and at first she stops him. Then she relents, and the scene cuts to the parking lot: They are parked next to a police car, sharing an intimate moment in Walt’s car. “Where did that come from?” Skyler asks afterward. “And why was it so damn good?” “Because it’s illegal,” Walt says. He has awakened in her a willingness to cross the line of the law—but that awakening may actually give her strength to overcome him. Skyler is Walt’s only equal. She may not possess superior tactical acumen; her plan to vacate Walt’s dirty money by giving it to Ted backfires completely, and she calls herself a “coward” because she “doesn’t know” how to escape the life Walt’s forced on her. But she is the character most capable of making Walt vulnerable. Only she can completely undermine his rationalizations and expose to him his true reasons for choosing to break bad, which he evidently doesn’t understand himself. It’s easy to get pulled into the show’s narrative logic—Walt must overcome obstacle A to achieve goal B—to the point of blinding oneself to the evil of the particulars and their endpoint. We root for Walt because we want the show to continue. With the series’ final episodes at hand, our support dissolves—our desire to see Walt succeed in the short-term will turn into an eagerness to see him get his comeuppance. And Skyler will be there to remind us that he deserves it.